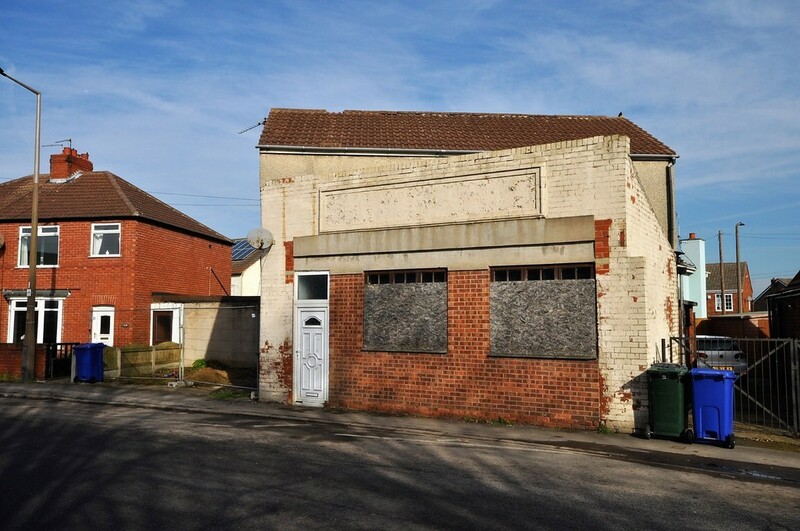 PLANNING PERMISSION GRANTED to convert to a SPACIOUS THREE BEDROOM HOUSE also having the benefit of a LARGE 41ft GARAGE/WORKSHOP accessed from Silver Street. The property is situated close to shops and amenities with excellent transport links nearby. Superb development potential for other uses. CASH BUYERS ONLY. DMBC Planning Ref No: 15/00876/FUL. 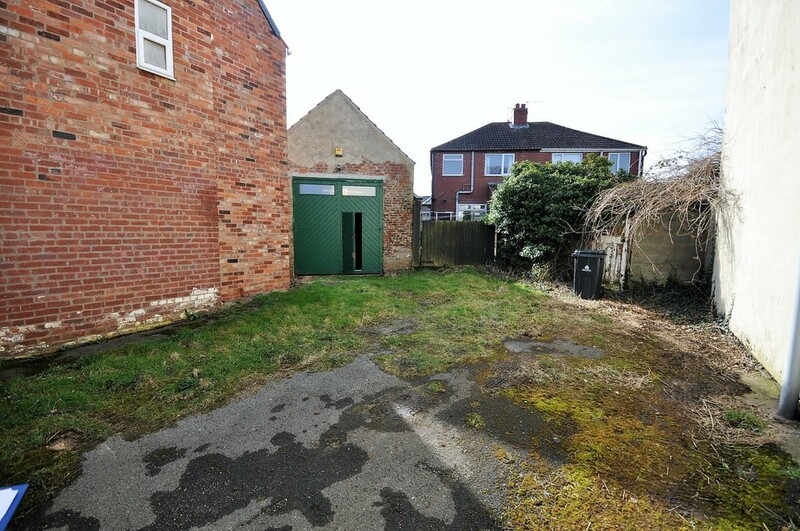 GENERAL INFORMATION Planning permission has been granted to convert the property to a spacious three bedroom, two reception roomed detached house with the removal of the front single storey extension. 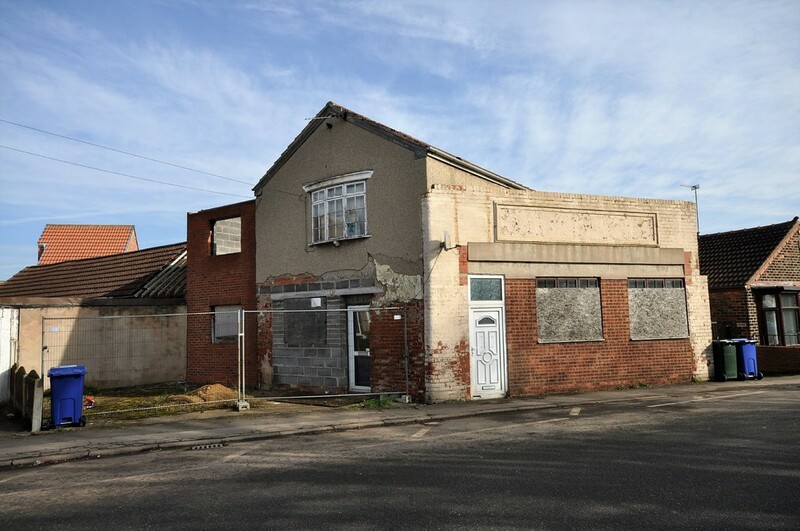 There is access from Silver Street to the rear of the property to a large 41ft long brick built workshop/garage suitable for a variety of uses. Substantial renovation and building work is required to finish the property to a habitable standard. DONCASTER COUNCIL PLANNING REF NO: 15/00876/FUL. 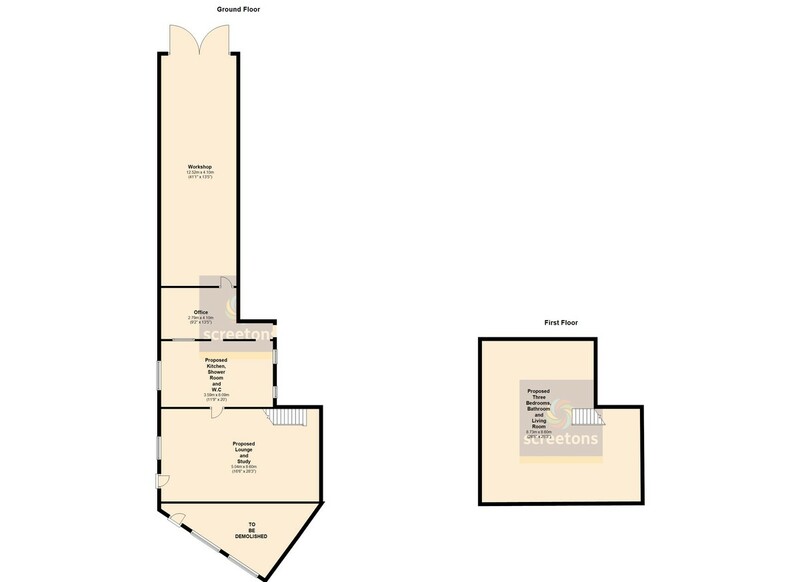 FLOOR PLANS ARE FOR REFERENCE PURPOSES ONLY WHICH SHOWS THE BUILDING AS IT IS CURRENTLY AND THE PART OF THE BUILDING TO BE DEMOLISHED. FRONT LOUNGE & STUDY AREA UPVC d . glazed front entrance door & side half glazed UPVC door. Window openings. Stairs to first floor. KITCHEN/SHOWER/WC AREA Breeze block with window and door openings. SIDE ENTRANCE LOBBY/PORCH Door opening to side garden area. Landing Electric consumer unit. Loft access. REAR BEDROOM Bulk-head over stairwell. UPVC d. glazed rear window. FRONT BEDROOM Front UPVC d. glazed window. REAR BEDROOM UPVC d. glazed rear window. Side timber framed window. Bathroom Timber single glazed window. 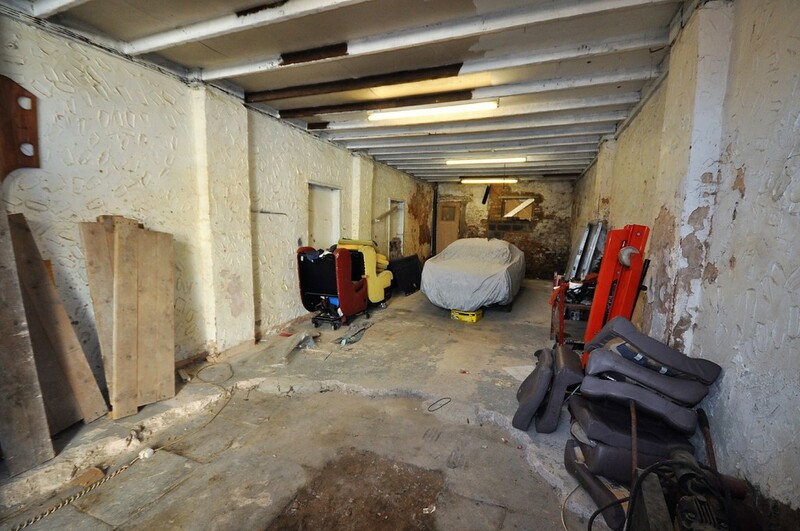 BRICK GARAGE/WORKSHOP 41' 0" x 13' 11" (12.51m x 4.26m) Three-phase electric power & light. Double timber entrance doors. Concrete tiled roof. 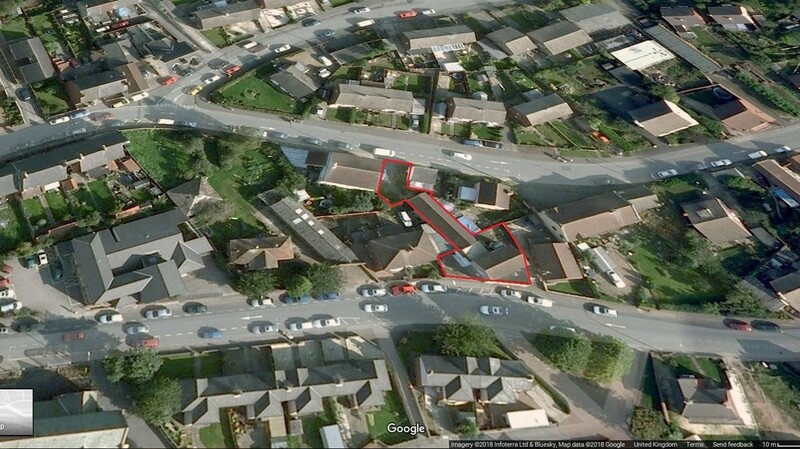 OUTSIDE There is a concrete area to the left-hand side of the property which can provide off road parking. 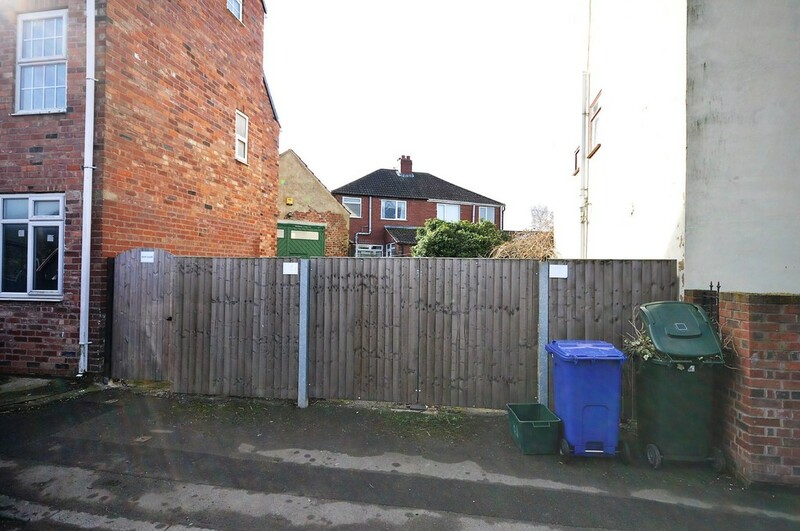 There is a garden to the rear of the property which we have been informed has a pedestrian right of access over the neighbouring bungalow's drive to gain access. * indicates a compulsory entry. "Working harder to sell your property"